How in the world did we ever manage before online shopping? We are lucky enough to be able to shop anywhere in the world with the click of a mouse. One of the best things about internet shopping, is that you can compare prices, without leaving your desk. Long gone, are the times of dragging our family out for a full day of “price-shopping”, only to find that there was nothing in our price range. That is no longer the case. There are so many sites trying to get your business. This drive prices down, and benefits YOU! You’re able to get rock bottom prices on everything. Tip: When shopping online, always check the price of shipping. Sometimes you might find an unbelievable price on something you really want, but the shipping is outrageous. Don’t fall for that trap. If you’d love the benefits of coupons, but don’t want to clip a single one…online shopping is for you. Before buying on a specific site, take a few minutes to do a search for coupon and discount codes. You will be amazed at what’s out there. It’s simple. 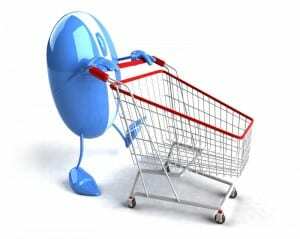 Keep your shopping window accessible, but open a second browser window. Type in the site you would like to buy from, followed by the words “Coupon Codes”, or “Discount Codes”. When you find the one you’d like to use, just copy and paste into the appropriate box, typically named, “promotional or discount code”. Some sites will allow you to use multiple codes, but don’t count on that. Another great thing about internet shopping is that you can have the item shipped as a gift, to avoid additional shipping. This is great around Christmas, when many sites offer free shipping. “What if it’s a hard to find item?”, you ask. You can find those, too. Your chances of locating an item you are searching for, are very high. With sites like Ebay, you’d be surprised at what you can find. These auction sites are great for keeping prices low. They are also fantastic for selling things you no longer want. Second hand items are also available. You have amazing sites like Craigslist and Freecycle, to choose from. If you don’t mind a a pre-owed item, go check out both of those site (There are several more). I have found almost everything I need for my home on Craigslist. I’m really into re-finishing furniture, and bargain hunting online. You’d never guess it by walking into my livingroom. I have a nice home, with notice things. It just requires a little searching, and some patience. Yes, finding great deals online does take a little patience and time, BUT I bet you won’t be search nearly as long, and you’ll end up saving way more then if you went out shopping locally. Happy Shopping!